Are you not sure if your roof has to be replaced? In most cases you don’t have to replace your roof, you can simply have it resprayed or painted. At Adelaide Premier Painting we revitalise existing roofs by painting and respraying. Our team has many years of on the job experience that has allowed us to figure out the best approach to revitalising your roof. Here are some of our approaches to cleaning up your roof before we get down to painting. Pressure clean With our speciality equipment and expert operators, we can do a comprehensive clean of your roof. We can clean away all the build up grime and dirt from years of weathering. When it comes to roofs or walls the best thing to do is to prepare the surface, much like you wouldn’t paint a dirty or unsafe surface. The right amount of preparation determines the results, when roof painting. Recolour your roof In most cases you might be just tired of the colour of your roof and just looking for a change. We can help you with finding the colour you’re looking for and colour your roof with our excellent range of colours that we get from trusted brands. You also might be looking to recolour your roof the same colour and need a team of painters to match the existing colour. If this is the case we have the equipment and staff to put the shine back into your roof, using our exterior colour palette to match your roof up. Recolouring your roof can be a fraction of reroofing and starting again. This is why it’s important to get in touch with us for a free no-obligation quote. The other un-obvious reasons how changing the colour of your roof can actually save you lots of money, is by lowering the amount of sunlight that fades your roof over time. Reseal your roof Before any painting it’s best to report any leaks that you have before any painting is started. Our experienced trained team in Adelaide have the right skills and safety experience to ensure that your roof is looking its best at affordable price. With the endless changing of weather conditions, the Adelaide Premier Painters has advanced solutions for your roof restoration needs. Roof restoration Adelaide ?section of our company has developed a way to make your roof glow again. There are currently an increasing number of companies using different solutions for different types of roofs. 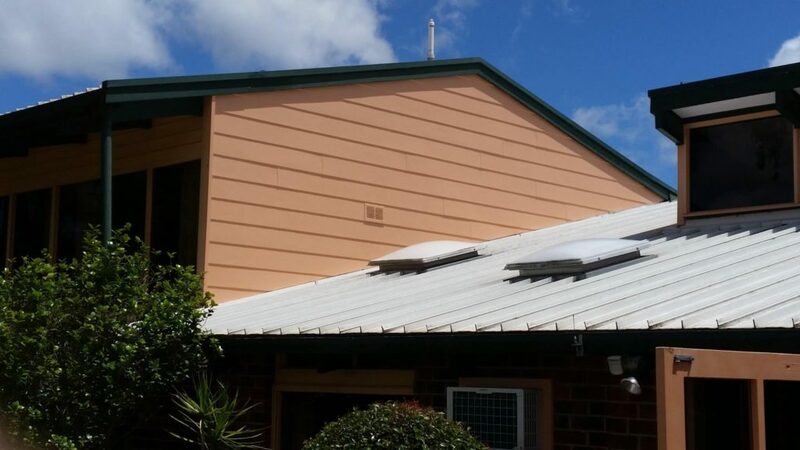 Although there is many roof types out there like tiles, colorbond, and irons, it’s important to have an expert to walk you through the right solution for your project, it’s a case by case approach. We have highly focused and experience team of painters with a wide range of experience from many types of painting jobs. Having the right team on your project can be the difference between an expensive job that could cost you 1000?s more or a company that does the right amount of preparation before starting your project and save you 1000’s. We provide a professional process to restore your roof to it’s original appearance, however we provide much more then just the visual appeal, we make sure your roof is in great shape before we start painting, giving it the right maintenance to start with. This will give you a longer lasting finish. If you’re looking for a company to take care of your roof restoration problems, give our Adelaide Premier Painters team a call today, our staff are happy to have a chat with you.